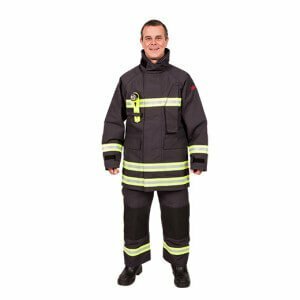 The FlamePro Combi Jacket & Salopettes structural firefighting suit is designed for modern structual firefighting offering performance and durability to firefighters under high heat stress. The Flame Pro 612 Combi Jacket is a waist length jacket with full zip opening for suiting up quickly and easily. The jacket has a high collar fully lined with throat closure tab and 3 piece set in sleeves with underarm gusset. It also comes with self fabric shoulder reinforcement with wadding for ultimate protection under stress, and torch/monitor loop on the breast. The anti-wicking storm cuffs on the jacket have drainage mesh. 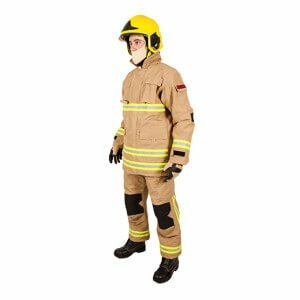 The 638 Salopettes are lower chest height and have elasticated braces with quick release buckles so firefighters can lose no time when equipping for various situations. They come with 2 side hip pockets which importantly keep firefighters hands-free. The knee patches are made of Kevlar with internal wadding, and there is anti-wicking spash guard at plain ankle hems. This gives these salopettes highly advanced protection. 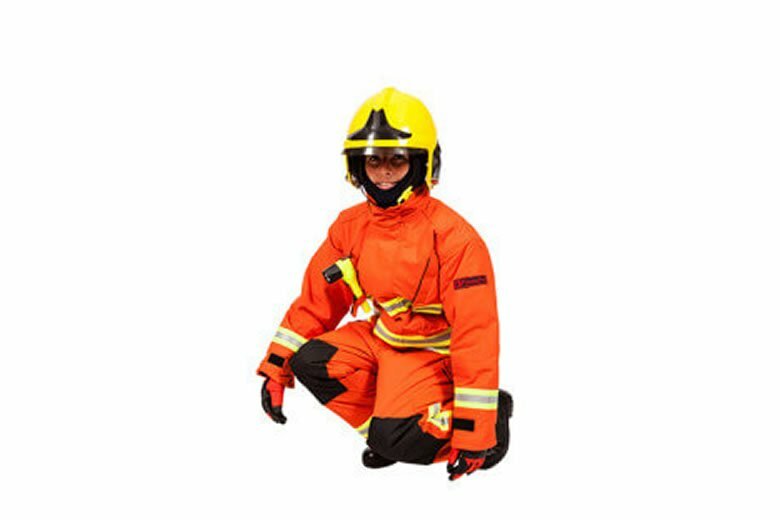 There are a wide range of face fabrics available for use as the outer layer in the construction of fire fighting garments. 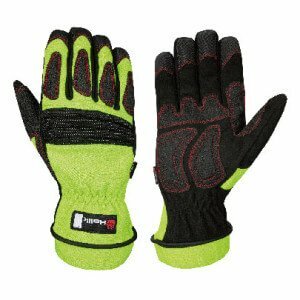 The fibres used in the weaving of these fabrics are generally either a para-aramid or a meta-aramid often blended with carbon fibres for anti-static properties. The best known of these fabrics are Kermel®, PBO Millenia Light™, Advance Light™ and PBI®. FlamePro® garments can be produced from any of these fabrics often in a range of colours and with various weave types i.e. plain, rip stop or twill.